Such a delightful little nut, the green and purple colors peeking out of the off-white shell, kind of like if clams grew on trees. Except they don’t because that would be really super weird. However, pistachios do, so that’s exciting. They’re not native to the US, but now the US is the second highest producer of pistachios in the world- the majority of those come from right here in California. 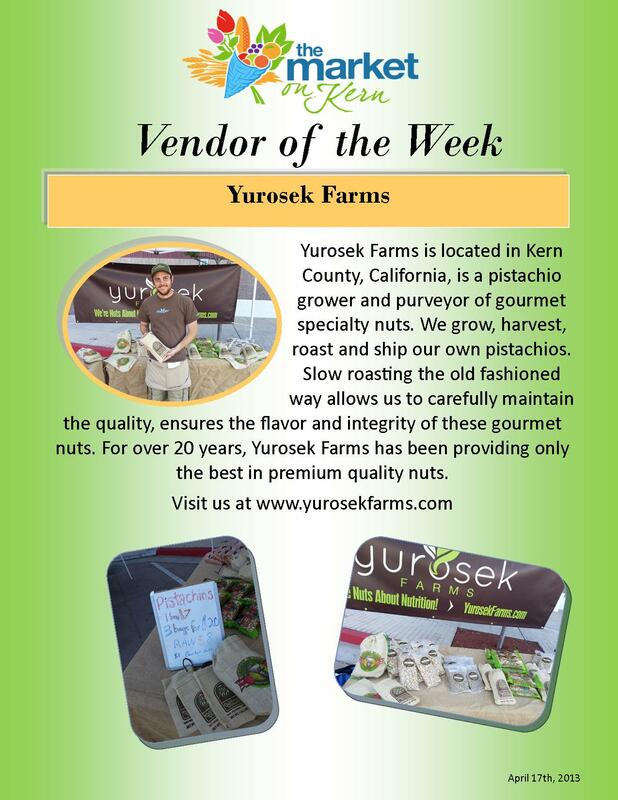 Yurosek Farms is located in Kern County, California, is a pistachio grower and purveyor of gourmet specialty nuts. We grow, harvest, roast and ship our own pistachios. Slow roasting the old fashioned way allows us to carefully maintain the quality, ensures the flavor and integrity of these gourmet nuts. For over 20 years, Yurosek Farms has been providing only the best in premium quality nuts and gifts. I also made sure to get a bag of raw pistachios- shelled and everything (or, lazy food in other words) so that I would be compelled to find a fun recipe to use pistachios in. Have you ever had pistachios in anything other than as a snack on their own or unnaturally green ice cream? I hadn’t. 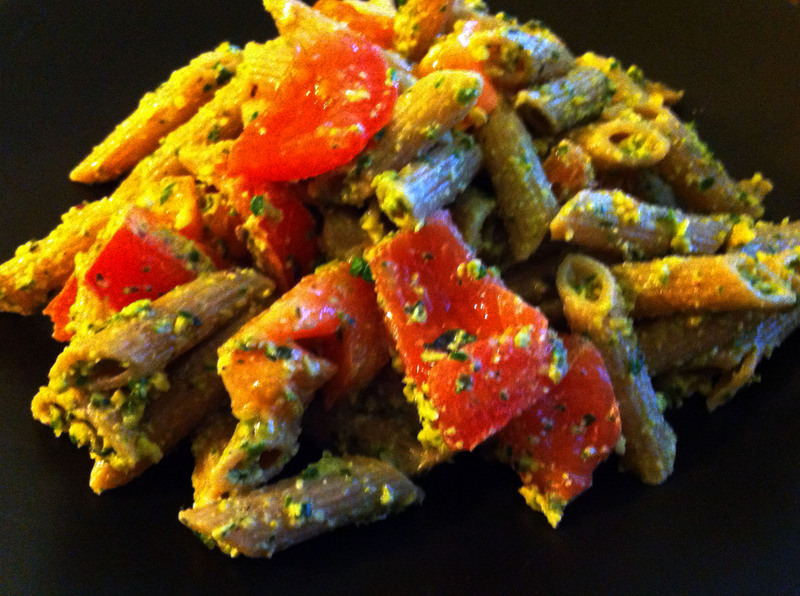 My first recipe was a pistachio pesto sauce that I found here and tweaked a little to fit my own taste preferences. Also, I added basil. A lot. Now, the recipe has “steps” to it, but really, you just throw it all into the food processor until it’s the consistency you’d like. I tossed mine together with whole grain pasta and fresh tomatoes. OH MY GOSH. Also, talk about your super food. 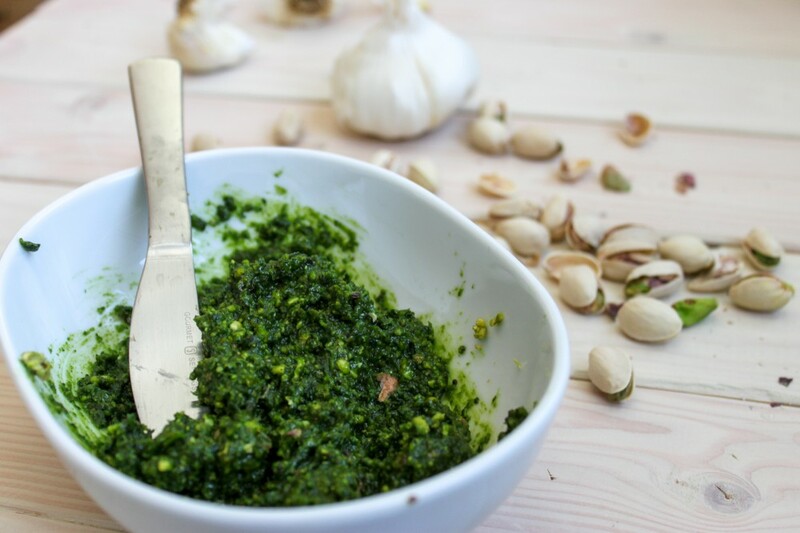 This pesto is as nutrient dense as can be. Pistachios are chock full o’ health benefits– they can even reduce LDL cholesterol. And it feels redundant to talk about how good Kale is for you– this is a great way to sneak in those benefits even if kale isn’t your cup of antioxidants. The best part was that it made enough for another meal- I threw half of it in a mason jar and am already daydreaming about the paninis I can make this weekend with it! 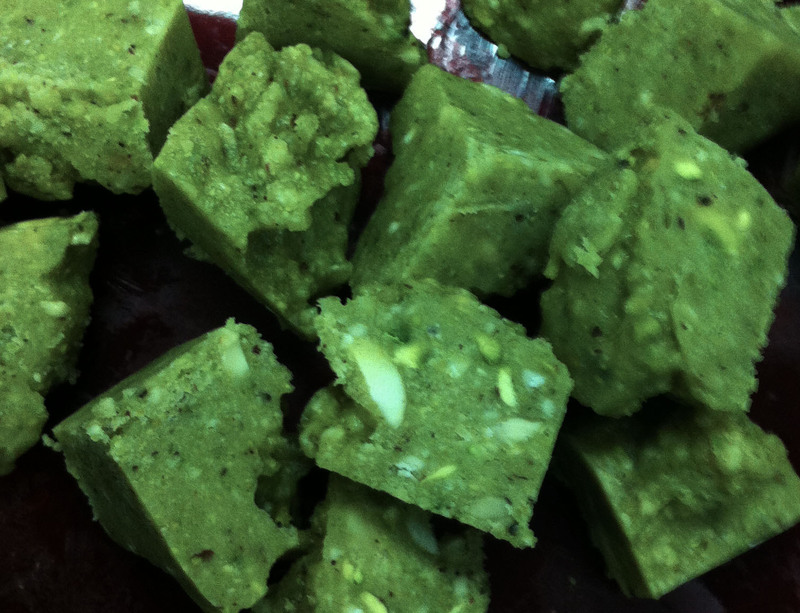 Recipe 2 that I tried was dessert- Raw Pistachio Refrigerator Cookies! I used honey in mine and they were DIVINE. Get your own raw pistachios from Yurosek Farms’ table every week at The Market on Kern and let me know what kind of fun you’ve had experimenting with this surprisingly versatile food. They’ll make a health nut outta you!